SBB Key Programmer V33 is a new device used as a portable unit for programming keys in immobilizer units on vehicles. As we all known, the SBB Key Programmer can support cars like: Alfa,Fiat,Mazda,Ford,Peugeot,Citroen,Renault and so on. How to check if one car is supported? Press ESC to quit or press ENTER to continue. This entry was posted in Programmateur de clés, Soutien technique and tagged auto key maker, car key copier, pin code reader, screen scanner, universal key programmer on January 14, 2016 by sales. OBDSTAR X-100 PRO Auto Key Programmer Add New Tested Car Model! Today we share the car models that our engineer has tested with the OBDSTAR X-100 PRO Auto Key Programmer. Some car models failed the test. Some cars successfully through the test. Kia Sportage D70F3423 2015 successfully done less than 20 seconds. This entry was posted in Mise à jour Nouvelles, Programmateur de clés, X100 Pro and tagged auto key maker, pin code reader, screen scanner, universal key programmer, x100 pro on January 14, 2016 by sales. How to get security code when programming key with XTOOL X-100 PAD? 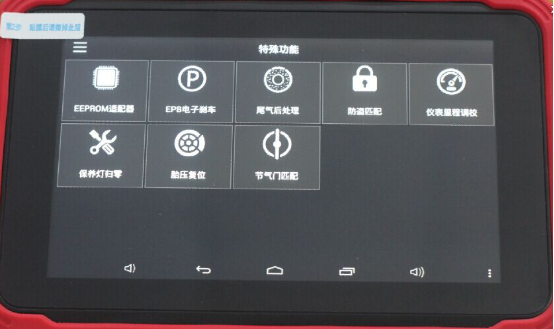 X-100 PAD is a tablet with the latest technologies to perform key programming, mileage adjustment, oil service light reset, timing belt service light reset, tire pressure warning light reset , EPB reset, throttle body reset, DPF reset, battery reset, steering angle calibration and OBD-II engine diagnosis. One of our customer use this to program key for 2008 Chevy Express Cargo Van. 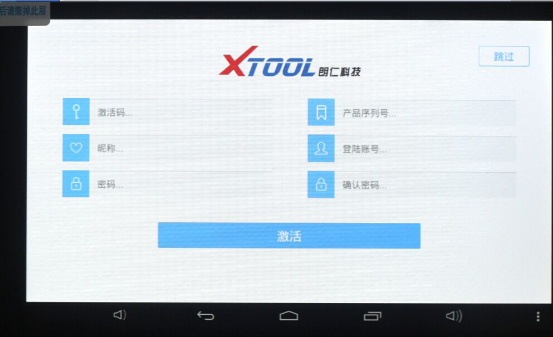 XTOOL X-100 PAD Tablet Key Programmer asks for security code. 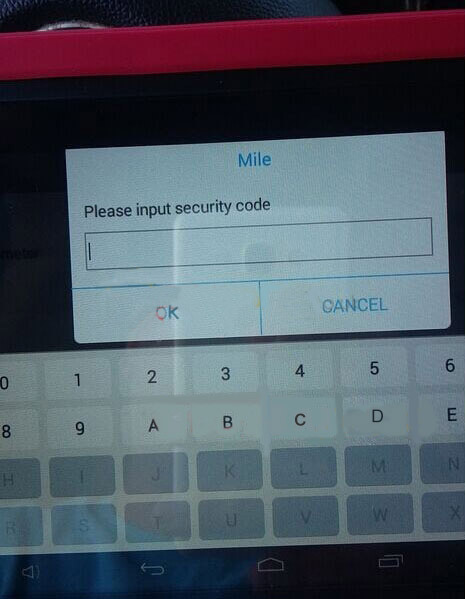 Where to get the security code? Look at this photo. When you make this key, enter this page. You will read the code. Send this code, your detailed car list, year to sales@eobdii.fr. We will send these information to XTOOL company to calculate the code and resend it to you. Attention: Only GM series vehicles will need this. More about the XTOOL X-100 PAD: http://www.eobdii.fr/wholesale/xtool-x-100-pad-tablet-key-programmer.html. This entry was posted in Programmateur de clés, Soutien technique, X100 Pro and tagged auto key maker, pin code reader, universal key programmer, x100 on January 11, 2016 by sales. OBDSTAR X-100 Pro is a new tool for key programing. But this new tool can also do mileage correction. We shared the tested car model for you to have a look. This entry was posted in Mise à jour Nouvelles, Programmateur de clés, Soutien technique, X100 Pro and tagged auto key maker, pin code reader, screen scanner, universal key programmer, x100 pro on December 3, 2015 by sales. 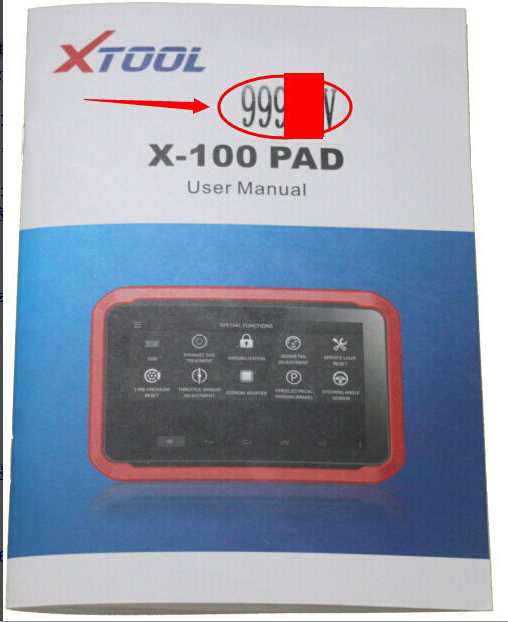 How to register XTOOL X-100 PAD Tablet Key Programmer with EEPROM Adapter? XTOOL X-100 PAD Tablet Key Programmer not only provides customers with professional key programming, but also the most needed special functions for workshop. Today we will show you how to register. 1. Connect the XTOOL X-100 PAD with internet. 2. Enter the XTOOL X-100 PAD screen like the picture bellow. 3. File the Data. The activate code is wroten on the user manual. a: Please use the email address as the log in account. b: Do not forget your password for logging in. This entry was posted in Programmateur de clés, Soutien technique and tagged auto key maker, pin code reader, universal key programmer, x100 on November 30, 2015 by sales.